Traditional German Currywurst, Served On Disposable Paper Tray With A Fresh Bun. Wooden Table Background. Royalty Free Stok Fotoğraf, Resimler, Görseller Ve Stok Fotoğrafçılık. Image 69810002. Stok Fotoğraf - Traditional German currywurst, served on disposable paper tray with a fresh bun. Wooden table background. 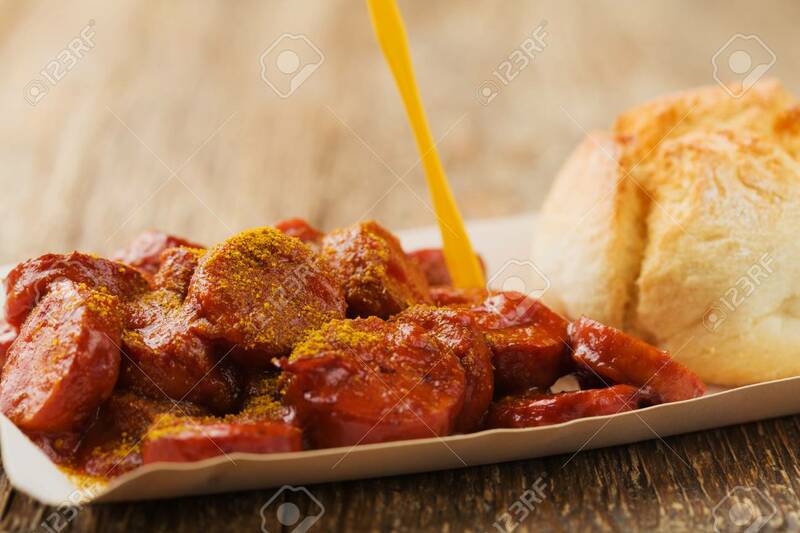 Traditional German currywurst, served on disposable paper tray with a fresh bun. Wooden table background.